The bright streets of Tallinn. Photo by Kelsey Burrow. The best and worst thing about having one day in a new place is that you need to make it count. On a multi-stop Viking Ocean Cruises trip around Scandinavia and the Baltic, Kelsey Burrow found Tallinn the most captivating city she saw. Between charming streets and delicious bakeries — and more coffee than we thought humanly possible — Tallinn won us, too. 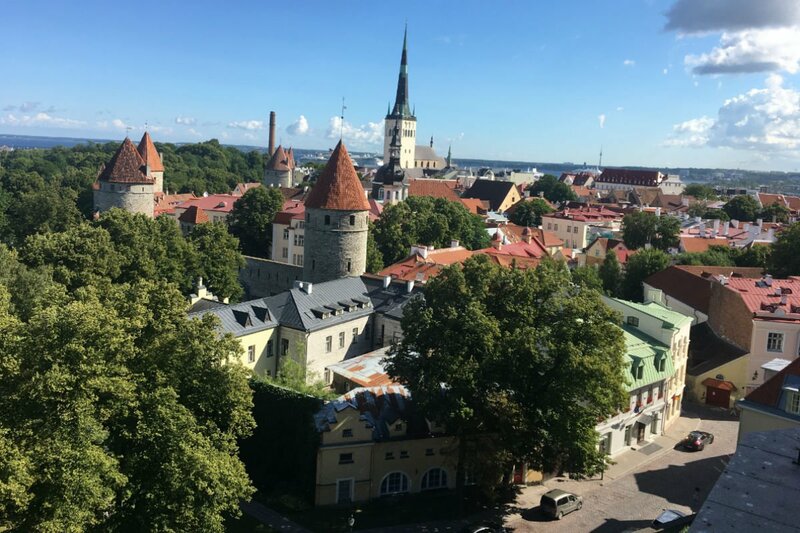 TALLINN, Estonia — I knew nothing about Estonia until Fathom offered to send me on Viking Sky's cruise around the Baltic Sea. Skimming the itinerary, I saw Stockholm! St. Petersburg! Berlin! Tallinn! Tallinn? Where’s Tallinn? Estonia, it turns out. When I stepped off the ship in Tallinn — with less than ten hours before I would climb back aboard again — I had no expectations and no real destinations in mind. And maybe that’s what made this city so magical. Tallinn captivated me more than any other location on the Baltic. Or anywhere. Period. The Estonian capital, Tallinn (population 400,000), is sandwiched between Russia and Latvia and sits directly south of Helsinki, just a two-hour ferry ride between the two. The city center, called Old Town, was designated a UNESCO World Heritage site in 1997, as it’s one of the best preserved medieval cities in Europe. 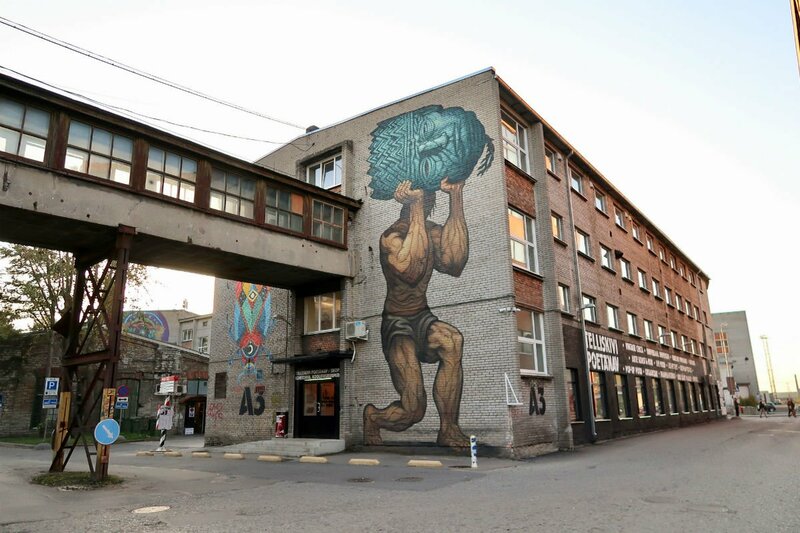 Surrounding Old Town, this post-Soviet nation rebuilt itself from the ashes of World War II destruction, into “a snapshot of how we might all be living tomorrow, “ according to Forbes, “a fast-forward example of extreme digital living.” Tallinn, which has earned the moniker of Silicon Valley of Europe, is a world-renowned hub for startups. (Skype was invented here in 2003.) City-wide WiFi now fills the cobblestone streets and medieval spires, a constant reminder to visitors that they haven’t stepped back in time, but rather into the future. Eye-popping shelves at Homeart. Photo courtesy of Telliskivi Creative City. Cobble stoned streets. Photo by Kelsey Burrow. Start on the east side of town in quiet Kadriorg. Have breakfast — from pastries to savory buckwheat porridge and egg dishes — at OG specialty coffee shop and roaster Gourmet Coffee (roasting under the name Coffee People). Gourmet sits on the edge of Tallinn’s largest green space, Kadriorg Park, so I grabbed a cup to go and strolled through the Baroque gardens and canals, around Swan Pond and Japanese Garden. Kadriorg was built 300 years ago by Peter the Great as his summer resort, and today you can visit the Kadriorg Palace and perhaps catch a glimpse of the Estonian president outside the Presidential Palace. The KUMU (KUnstiMUuseum), also in the park, houses classic and contemporary Estonian and international collections and has an auditorium for film screenings and performances, a kid-friendly educational center, and a library. From Maakri, I walked through Tammsaare Park and into Old Town. I could have spent the day wandering the cobblestone streets, but time was tight, so I only lingered in a few shops like ZIZI for Estonian linens before making my way to the western side. I walked across Schnelli Park to Toompuiestee and the newly revamped Balti Jaam Market, an al fresco food hall and market for local foods and crafts. I bought chocolate, kombucha, and a power adapter. Graffiti in Telliskivi Creative City. Courtesy of Telliskivi Creative City. Balti Jaam led me to my people — the Creatives — down a bike path flanked by graffiti, and into a complex of industrial warehouses filled with cafes, vintage stores, and studios. Welcome to Kalamaja neighborhood, home of Telliskivi Creative City, where more than 200 businesses and NGOs make up Tallinn’s creative economy. Telliskivi hosts a sprawling flea market on Saturdays and buzzes every other day with locals and travelers alike. First stop was F-hoone for lunch, where I chug water because I’ve had a thousand coffees at this point, and order pumpkin-chickpea falafel with rocket-quinoa salad and cashew cream. Next, exploring: Stella Soomlais for vegetable-dyed leather goods, Valhalla Factory in a shipping container for home goods inspired by nature, and vintage stores galore. 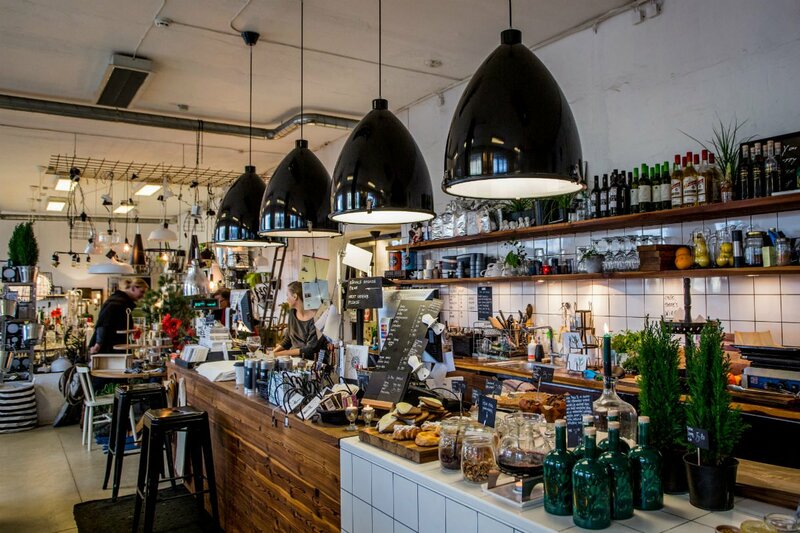 The main Telliskivi warehouse is filled with boutiques, including my two favorites: Homeart, for budget-friendly Swedish and Danish interior design, and Les Petites, which carries the best of Baltic makers. From Telliskivi, I detoured for bread up residential street Kopli (also the name of the hood) via tram to Bekker Pagariäri. I’d come across Bekker’s name in my coffeeshop research, and I was pilgrimaging for Katri Sander’s seemneleib (seedy loaf), a traditional loaf made with yeast and a mix of wheat and rye flours. 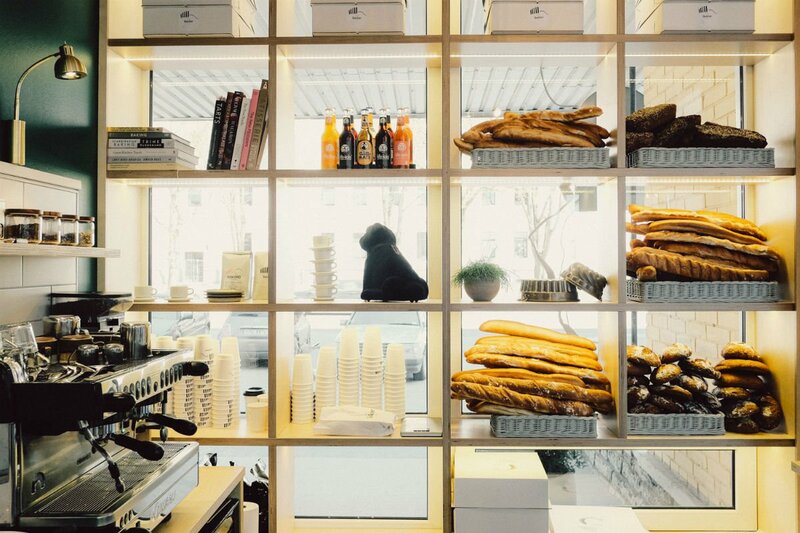 Her bake shop, new to the up-and-coming Kopli, is a long space lined with windows and accented simply with emerald green walls, white subway tiles, and gold light fixtures resembling bird cages. I bought a loaf, just because, and then headed back toward Old Town. On my way back, I stopped by St. Vitus for a beer and to plan my last few hours in Tallinn. Fresh loaves at Bekkeri Pagariäri. Photo courtesy of Bekkeri Pagariäri. Looking out over the rooftops. I spent sunset in Old Town, climbing the stairs to Toompea Hill near Freedom Square to see Tallinn from the popular Kohtuotsa overlook. (Piiskopi and Patkuli overlooks would have been the other options for views over the Baltic Sea.) At dusk, I roamed twinkling Old Town — without the tour groups — and got a more authentic feel for the area. After relishing my solitude all day, I met friends from the ship at Leib Resto ja Aed, an Estonian restaurant tucked in a lush garden beneath a medieval tower. (The entrance is hard to find: Traveling north up Uus Street, look for the name Šoti Klubi on your left, and the path to enter is just down and to the left.) The food at Leib is thoughtful, locally sourced, and delicious, as is the masterful wine list selected by sommelier Kristjan Peäske. He kept my full day of adventure going in the glass, in the form of an exciting organic orange wine, Dinavolino, from Italy. Our group returned to the ship without a moment to spare, and we were off to Poland. But Tallinn had won me in a day. 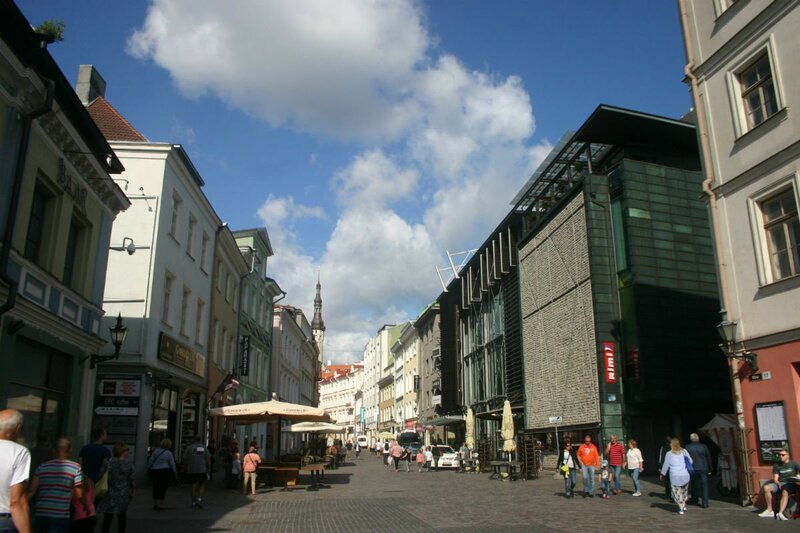 Tallinn was a stop on Viking Ocean Cruises' Viking Homelands trip. Read about Kelsey's experiences on board, and about the secret garden she discovered in Stockholm. Kelsey is a writer and food publicist based in Atlanta. You can follow her on Instagram @kelseybburrow. She travels for the reminder that the world is much bigger than her own.